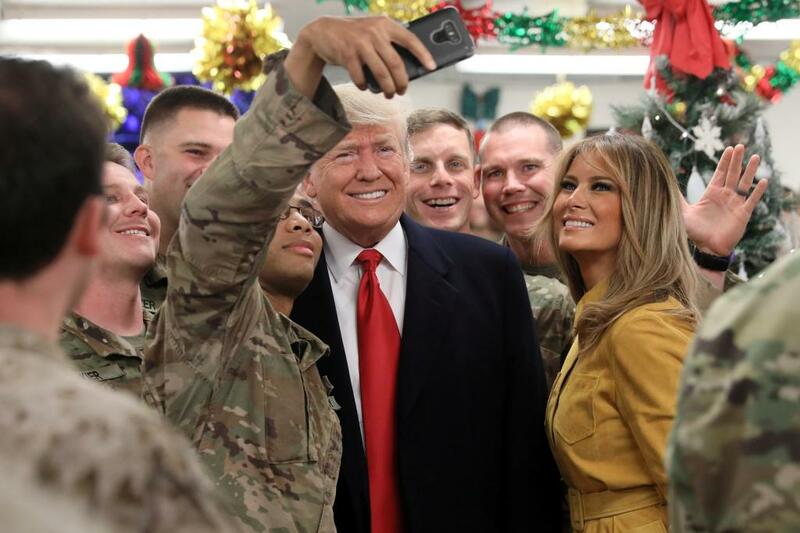 U.S. President Donald Trump and First Lady Melania Trump greet military personnel at the dining facility during an unannounced visit to Al Asad Air Base, Iraq. “Our presence in Syria was not open ended and it was never intended to be permanent,” he told troops wearing camouflage fatigues in a hangar at the base. He said some troops can now return home to their families. Mattis had planned to leave at the end of February, but Trump forced him to go on January 1 after his resignation letter was made public. Abdul Mahdi’s office said there was a disagreement over how to conduct the meeting. Iraqi lawmakers said the prime minister declined Trump’s request to meet him at the military base. White House spokeswoman Sarah Sanders said the meeting could not be arranged due to security concerns and the short notice of the trip, but she said they had a great call and that Abdul Mahdi accepted Trump’s invitation to the White House in the New Year.